The Basenji is a weird breed. Ever heard of a dog that can’t bark? Well, here you have it. A dog that whines, chortles, yodels and screams? Yup, that’s the Basenji. A clean, odourless dog. A natural escape artist. A stubborn, strong willed dog that will challenge you to be smarter than him or her… that’s the Basenji. 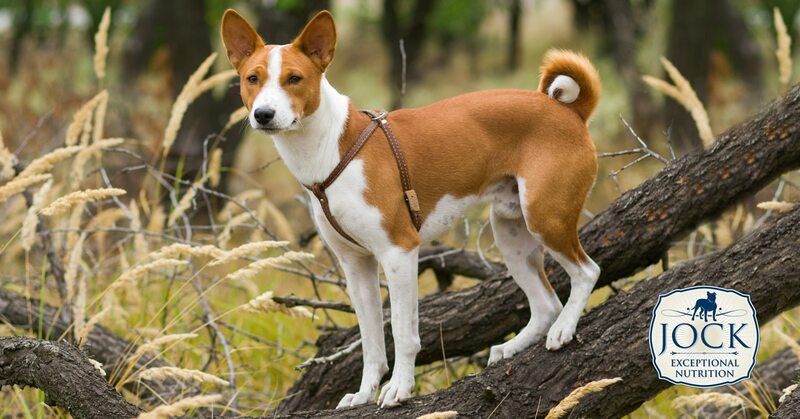 The Basenji is an ancient dog breed originating in the forests of the Congo and closely resembles the Tesem dogs that are depicted on the tombs of the ancient Egyptian pharaohs. Originally bred to hunt small prey in the dense rain forests by chasing and driving them into nets, these fast, agile creatures are highly alert and adept at getting through the tiniest gap. For this reason, it’s not recommended to keep a Basenji in a yard that is not very, very well secured and fenced off, or leave it alone by itself in your home. It will find a way to get out of the yard, and it will find some unsuspecting shoe, leather handbag, Persian carpet or new scatter cushion to hunt down and tear to pieces. With regards to its peculiar trait of not barking, several theories abound. One is that quieter Basenjis were selectively chosen over thousands of years because the sound of barking dogs would give away the location of their owners in the forest to rival tribes. Whatever the reason, the breed was admired by Europeans who first saw them in the Congo region in the 19th century and several attempts were made to bring them to Europe. A certain Lady Helen Nutting brought six Basenjis with her to England from Sudan in 1923 but the dogs wanted nothing to do with it and all tragically died from the distemper shots they received in quarantine. In the 1930s a small foundation stock was finally established in England and America and almost all Basenjis in the Western world descends from this small number, although some efforts were made at the turn of the millennium to introduce new dogs from Africa into the line. 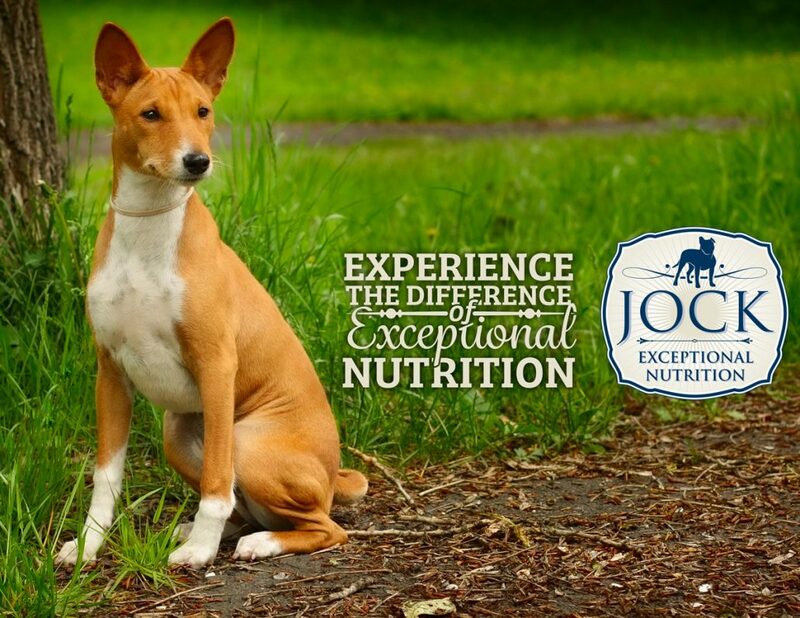 With its alert, big pointy ears, tightly coiled tail and diamond-shaped head, the Basenji is instantly recognisable. It’s graceful, light-footed gate reminds somewhat of wild jackals and like other sighthounds, it is capable of a double-suspension gallop, similar to a horse’s. It’s a small-sized dog, standing about 41-46 cm tall and weighs roughly 10kg, but is deceptively strong for its size — a fact that many an arrogant Jack Russell have come to accept the hard way. Its coat is short, odourless, sheds very little and comes in red, black, brindle and tricolour. Interestingly, all Basenjis’ feet, tails-tips and chests are white. Needless to say, raising and training a Basenji takes patience and a strong will. Some expert even refers to a ‘sense of humour’ needed to train them. Most owners agree that Basenjis are highly intelligent and often understand commands — they just don’t want to obey them unless they understand what’s in it for them. They are extremely loyal and will often bond tightly with one owner. Their suspicious stand-offish nature will also require them to be well socialised from an early age to avoid skittish and aggression towards other dogs. That being said, Basenjis are very social animals and want to be part of the action all the time and go everywhere with you. Leaving a Basenji by itself for any long period of time is not advised. Despite their inability to bark, they do make excellent watch dogs and are highly aware of what’s going on around them. Also, remember that they are hunting dogs, so they will need exercise, and lots of it, on a daily basis. The breed typically reaches about 13 years of age and is generally a healthy breed although some kidney and liver problems, sensitive stomachs, hypothyroidism and eye disease can occur. A very interesting biological trait is that female Basenjis, like Dingos, only cycle once a year compared to twice a year for all other domestic dogs. Is a Basenji for me? Yes, if you’re looking for a clean, elegant, clever dog with a strong personality, and you’re willing to be its loyal companion and strong pack leader. If you’re looking for low maintenance dog that will submit easily and generally be obedient, then steer clear of this fascinating breed.